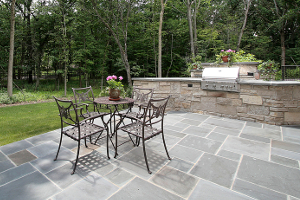 One of the most popular emerging trends is the Huntsville outdoor kitchens and living spaces. What better way to take full advantage of your entire property than to expand to include your great outdoor space. Too many homeowners become restricted to what’s available to them just inside their home. Others dare to explore the limitless boundaries that await them once they go past the perimeters of their four walls. Of course one of the greatest reasons for moving to the outside is having a way to entertain guests without being confined to the indoors. Enjoy great weather and amazing views without feeling stuck inside the house. There is simply no better way to entertain these days then to prepare a gourmet meal on your outdoor kitchen and enjoy it in the outdoor living space. The possibilities become endless when you move the party outdoors, too. No more avoiding certain cooking techniques because it would fill the kitchen with smoke. No more missing out on a gorgeous sunset because you are stuck inside eating dinner. And no more missing out on making memories around a fire just because you have no indoor fireplace. One of the surprising reasons that cooking outdoors has become such a trend is that people are really trying to focus on eating healthier. Of course the only way to do that is to be able to grill. And grilling also creates more flavorful foods so it is a win-win situation. But being able to cook in the open is also an ideal way for the cook to still be able to be involved with the party action instead of being secluded in the kitchen. The best part is that this all adds value to your home. So while you are able to enjoy it now, you can also be certain that when the time comes to sell your house the value will be greater. Smart investments that has nothing but benefits are Huntsville outdoor kitchens. Much of the same can be said for Huntsville outdoor living spaces. Why retreat back indoors once the cookout is complete. Unwind outdoors as the summer dusk begins to take hold. And for cooler weather you can install heating lanterns or a fire pit so the party doesn’t have to end. 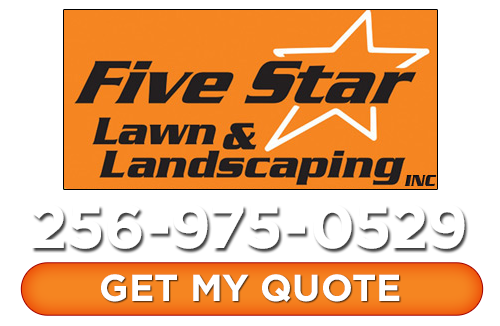 When you work with the pros here at Five Star Lawn and Landscaping, Inc. you can rest assured that creative ideas we have will be plentiful. Whether you know what you want for your outdoor living space or haven’t got a clue, our Huntsville landscapers can help. Contact us today to find out more about outdoor kitchens and living spaces in Huntsville. If you are looking for an expert for outdoor kitchens or living spaces in Huntsville then please call 256-975-0529 or complete our online request form.